Magnificent 11+ Acre Horse Property w/completely RENOVATED HOME, 1889 Historic Caboose, Workshop/Gar & Shed. You must see this unbelievable property. TOTAL RENOVATION: 1925 HOUSE GUTTED TO THE STUDS, NEW PLUMBING, FIXTURES,WIRING & MAIN SERVICE PANEL, INSULATION (WALLS & ATTIC), ROOF, HARDIE BOARD SIDING, SHEETROCK & PAINT, ENTRY & EXIT DOORS, ANDERSON WOOD WINDOWS, HICKORY FLOORS, GRANITE COUNTERTOPS (KIT & BA), CABINETS, TILE FLOOR BATH & SHOWER, ALL KIT APPL, DIRECT VENT GAS HEATER, DIRECT VENT GAS F.P, FRONT & BACK PORCH DECKS, SEPTIC JET AERATION PUMP. Enjoy the Air Force fly overs from your front porch which backs to the AFA property line! 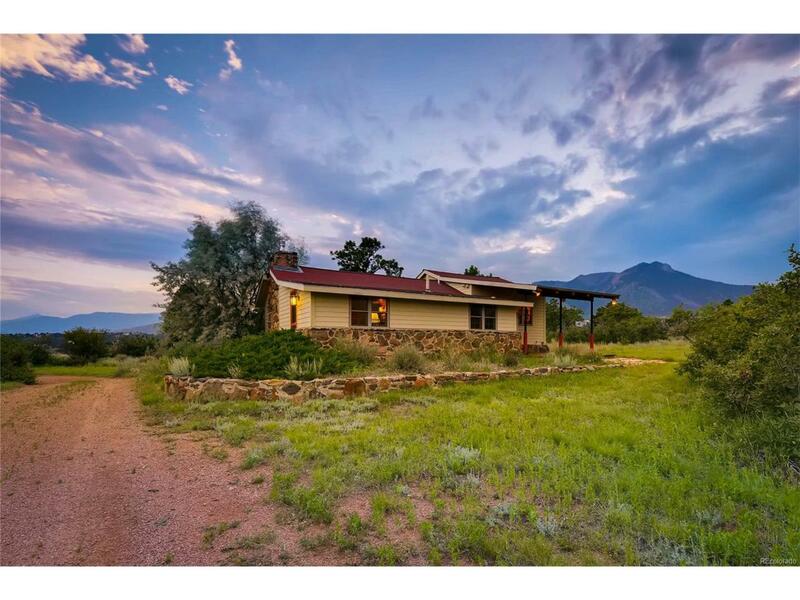 Build your luxurious dream home in this secluded peaceful setting, overlooking Colorado Springs, use the existing home & Caboose as income/guest quarters. Feels like you're nestled in the mountains yet just minutes from convenient dining, shopping, hiking/biking trails, I-25 & more!